When you stay at Courtesy Court Motel in Nelson, you'll be near the beach, within a 10-minute walk of Burrell Park and Natureland Zoo. Featured amenities include a 24-hour front desk, luggage storage, and laundry facilities. Free self parking is available onsite. Located in Whakatane, 37 The Landing Motel is a 2-minute drive from Whakatane Aquatic Centre and 5 minutes from Whakatane District Museum and Gallery. Free self parking is available onsite. 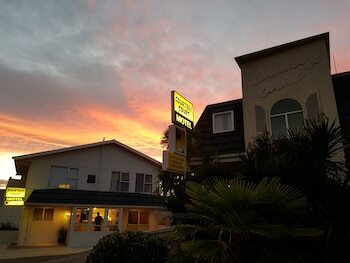 Located in Wellington, Airport Motor Lodge is a 4-minute drive from Breaker Bay and 5 minutes from The Weta Cave. A roundtrip airport shuttle is complimentary (available on request).